Dear Mummy, we went to a ball last weekend, but this was no ordinary ball. 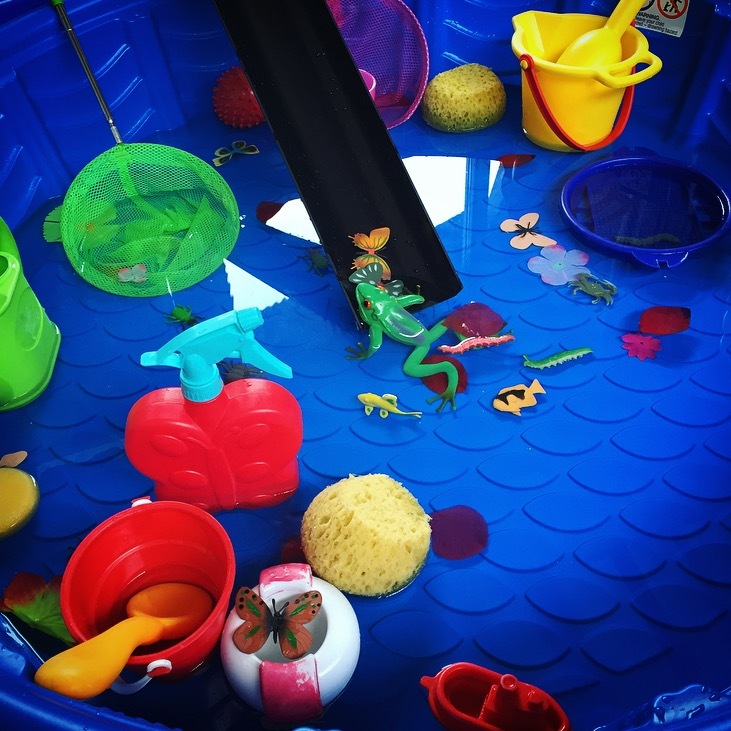 It was for bugs and creepy crawlies…..oh and us! 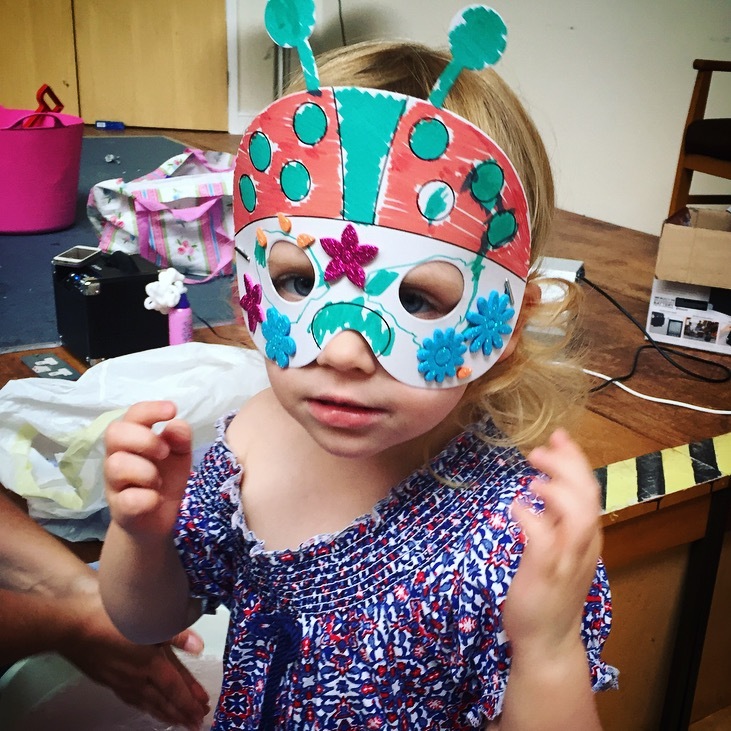 Not the bugs you find in the garden though…extra special crafty ones. 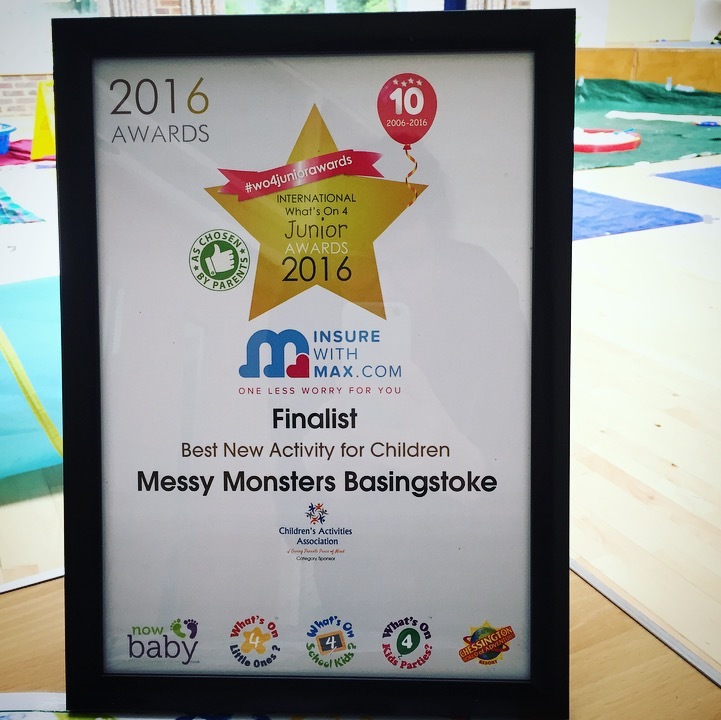 *Phew* It was an Ugly Bug Ball organised by Messy Monsters in Basingstoke. 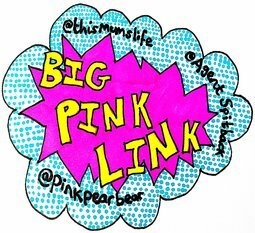 We’re big supporters of promoting and helping local businesses especially ones that we’ve heard good things about from friends. Word of mouth is the most trusted publicity that any business can get, so we were excited about attending this event having heard people raving about them. 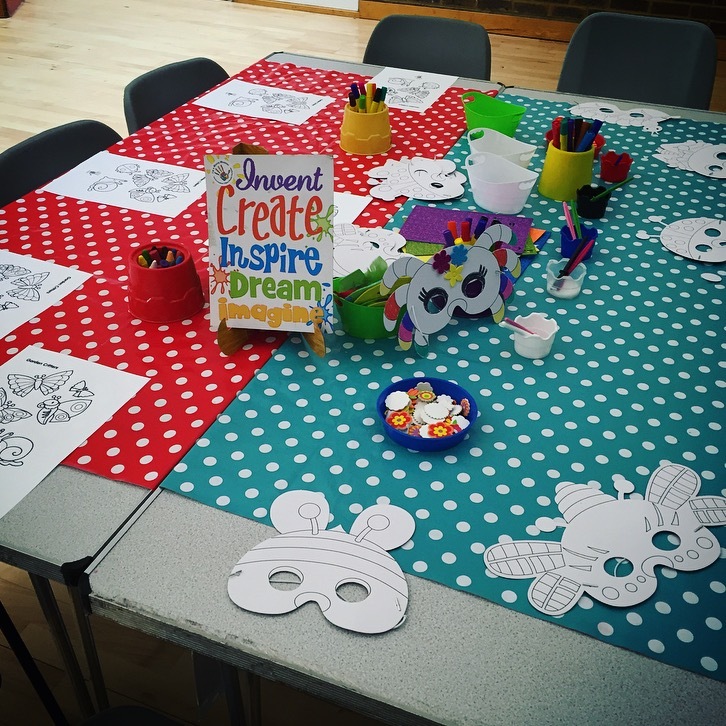 We were invited down by Messy Monsters to join in with their crafting party at Popley Fields Community Centre. We’ve never been here before and were pleasantly surprised by the amount of space for families that Popley Fields had to offer. Onsite car parking made it easy for families to park near the entrance and it’s right in the heart of the community meaning that families can also walk to the center. 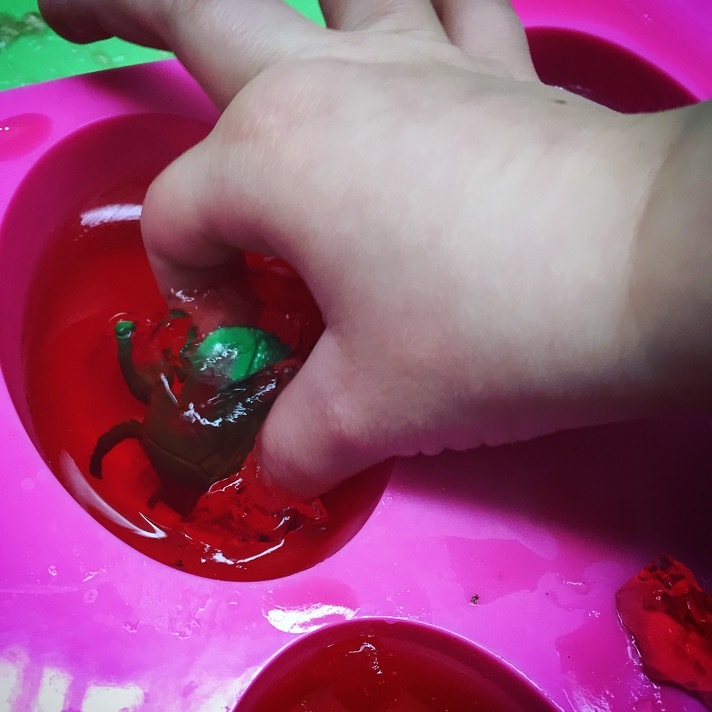 Messy Monsters run classes here every month or so, with a theme for their activities, which involve messy play, crafting and sensory experiences. Perfect for little babies and small toddlers. Over the summer holidays they are running weekly play sessions and you can find out more details here. 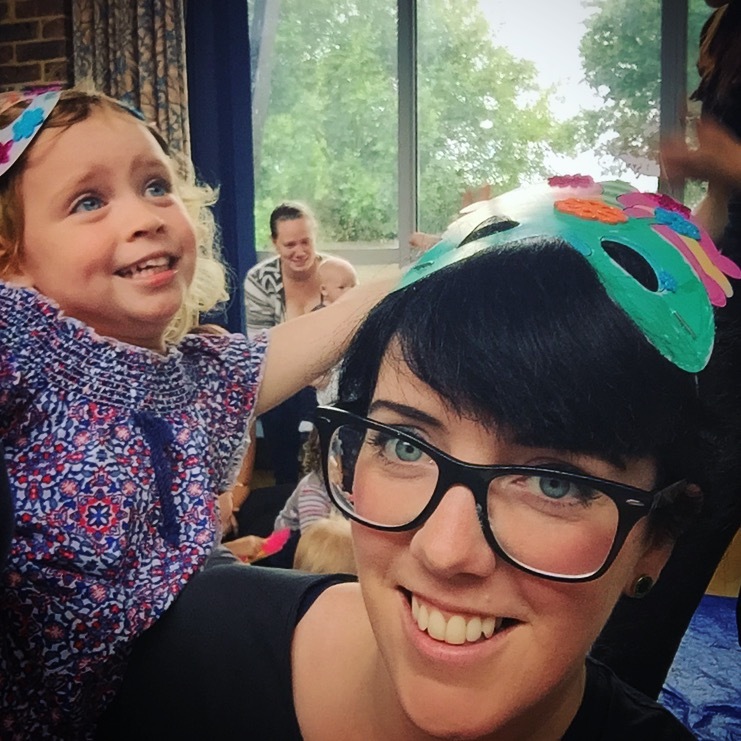 The themes for their play sessions range from Dinosaurs to Mermaids and you can also book them for parties which we thought was a great idea. They’ve only been going for a year and have already built up a good reputation in Basingstoke. The event sizes are limited to ensure that everyone gets the maximum out of the experience. Our Bug Ball morning only lasted 1 hour and cost £6 per child with 2 accompanying adults going free. A real bargain for what you got! 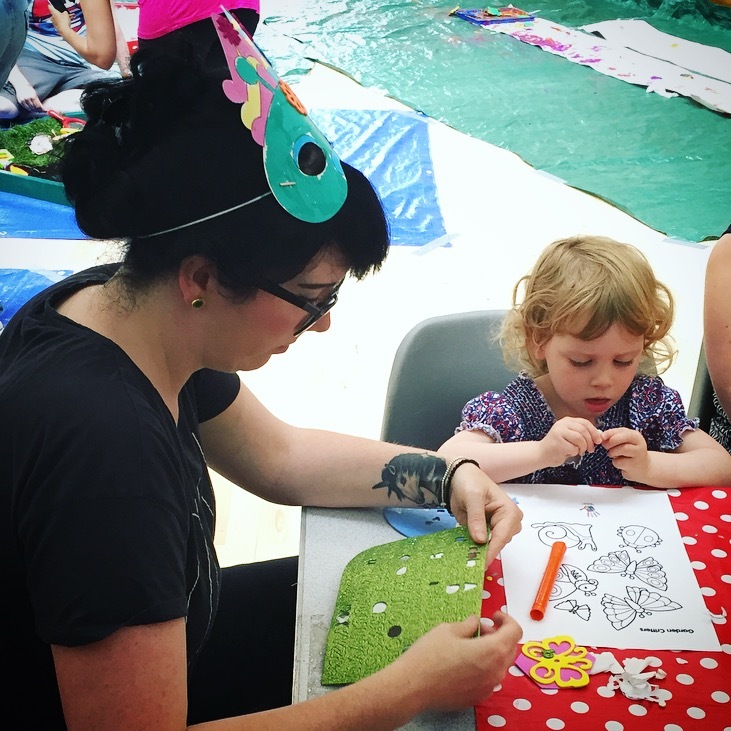 All crafting and messy play materials were provided and you could take home your creations. There was so much to see and do at our session that we could have stayed there another hour just to finish off our craft projects. 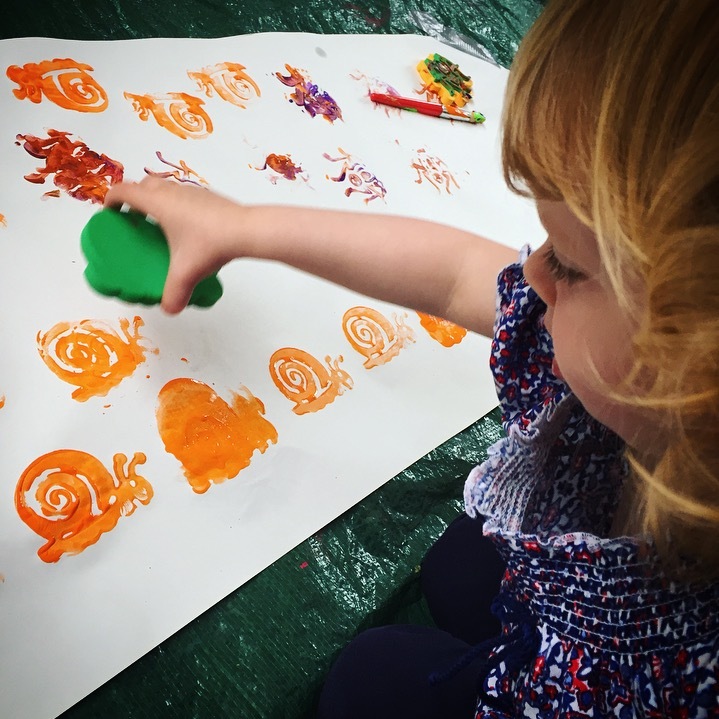 The range of materials and play areas were varied, which meant that we could colour-in, play in the mud, wobble jelly, spray foam and go for a little splash all in one session with water and paint!! *Phew* Thats enough fun to knacker out a parent never mind a child! At the Ugly Bug Ball I started off by exploring the splash area where I sprayed my folks with water, much to my amusement. I enjoyed playing in the foam and covering my mummy’s face in it. I also discovered plastic creatures hiding within the white mountains of bubbles and had fun digging them out with my hands. 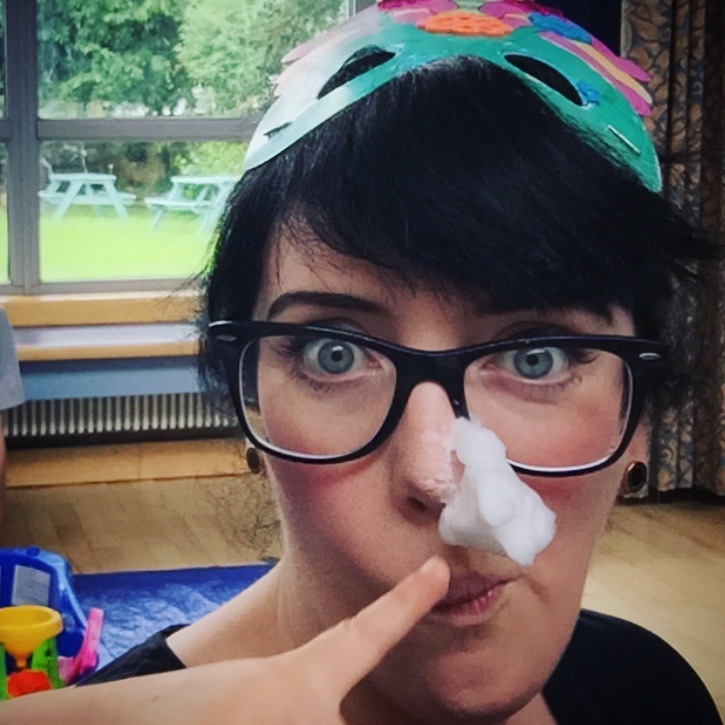 There was lots of tomfoolery to be had and the atmosphere was relaxed with parents joining in and getting messy too – we would definitely recommend wearing an old clothes so you can get stuck in! We had a spare change of clothes in our bag and brought towels just incase. Messy Monsters had a washing bowl and towels for little ones to wash their hands, which was good, and saved walking out of the room to the toilets. A large roll of paper was left out for children to paint on and we liked the attention to detail with the stamps being bug related too. You could get as messy as you wanted too and one baby was covered head to toe in paint which I found very funny. I liked pretending to bake and spent some time rolling the dough and cutting out shapes. They even providing little cake cases which I used and decorated with plastic butterflies. 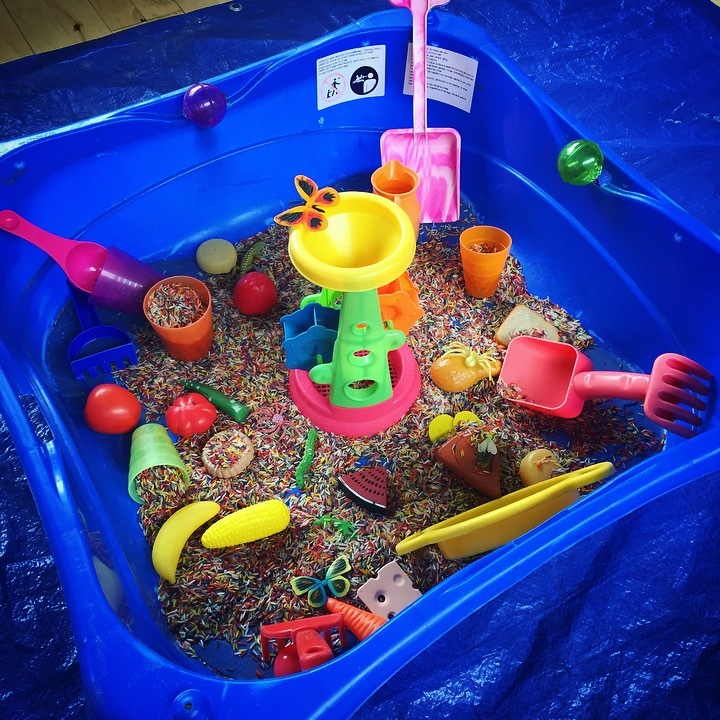 My mummy loved all the multi-coloured rainbow rice and it was great to use the toys proved to stir, rummage and rake. Lovely and tactile and perfect for a toddler like me. Everything provided was super clean too and all the toys were in mint condition and looked after. The play areas were well thought out and much more imaginative than what we would have done at home in the garden. As it was inside too it meant that when the rain was beating outside we were all tucked up and warm and it didn’t interrupt play. 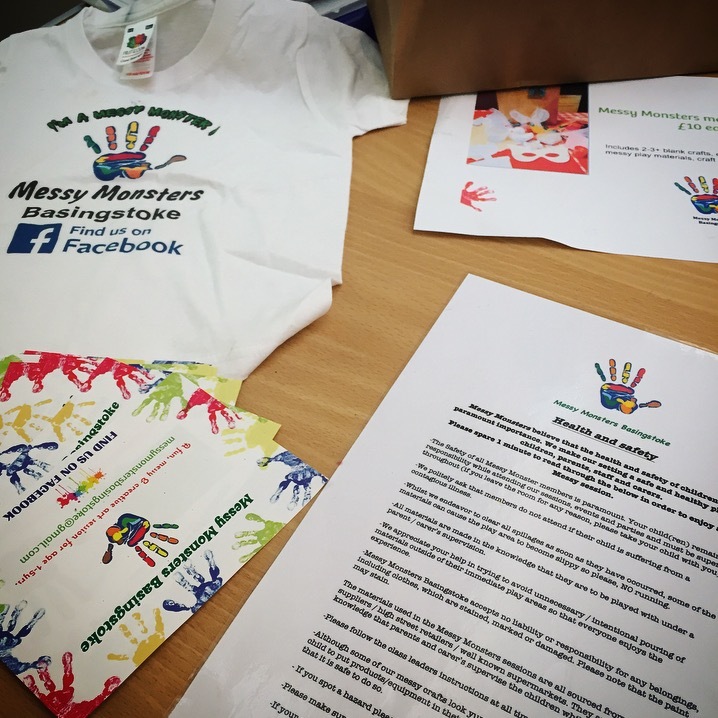 Messy Monster is great if you don’t want the hassle of tidying up at home and spending a fortune on crafting supplies and messy play. It was good that they had so many areas as I didn’t lose interest, however I did get a little bit overwhelmed when I first came into the room. 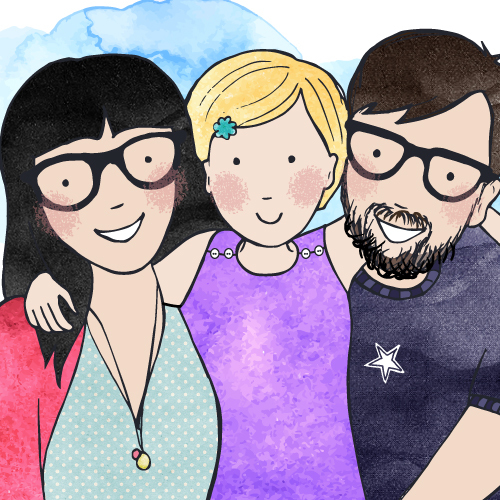 I was like a kid in a candy store – even my parents felt like that! 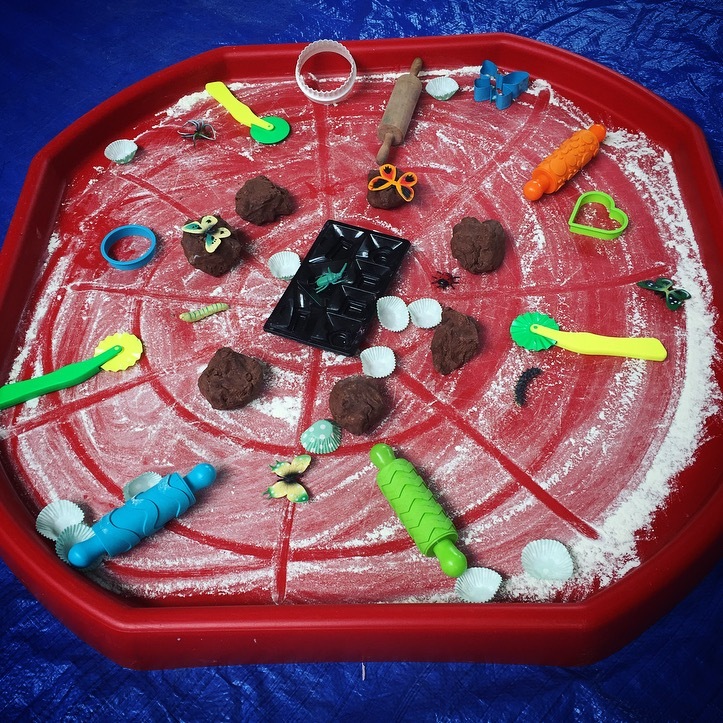 Loads of Tuff Spots (crafting trays) were laid out of the floor in the hall and contained a different sensory activities. 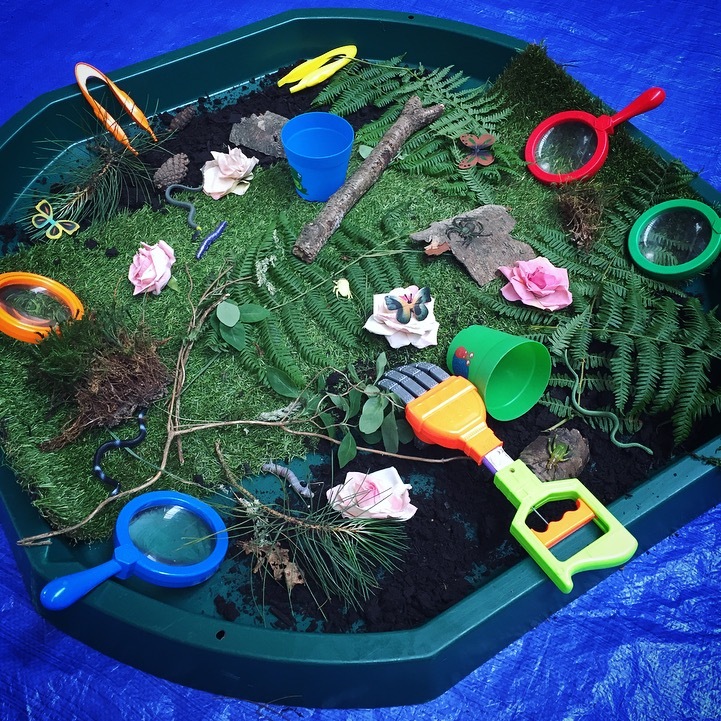 We were most impressed by the woodland one and loved hunting for bugs with the magnify glass and digging in the soil. Health and Safety was paramount to Messy Monsters and everyone that attended had to agree to the terms in advance. While we were their the staff made sure that everyone was happy but most importantly safe. They were attentive and friendly even joining in with some of the activities and spraying us with bubbles at the end. The Messy Monsters session really gave me a great opportunity to get really messy. It’s a lovely family event and gave us all a break out of the house (to reduce cabin fever) while also giving me an excuse to play with things I wouldn’t ordinarily be allowed to in our house like foam and rainbow rice. 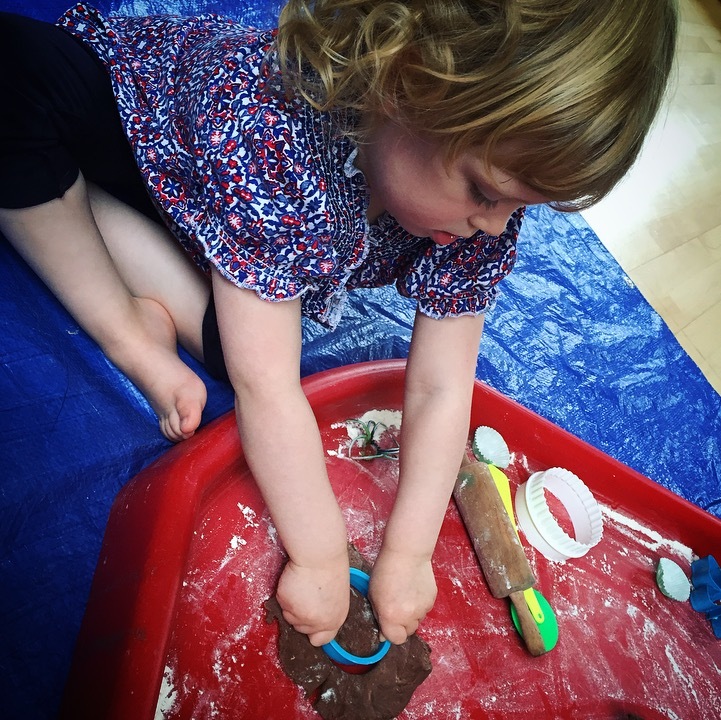 Everyone knows that trying to keep a house tidy with a toddler is difficult and even more if they like crafting and messy play! Messy Monsters gave us the opportunity to go crazy with the mess while they tidied up the rest. Sounds perfect to us! We’d go back in a heartbeat and can’t wait for the Mermaid session to return as I love Mermaids!! 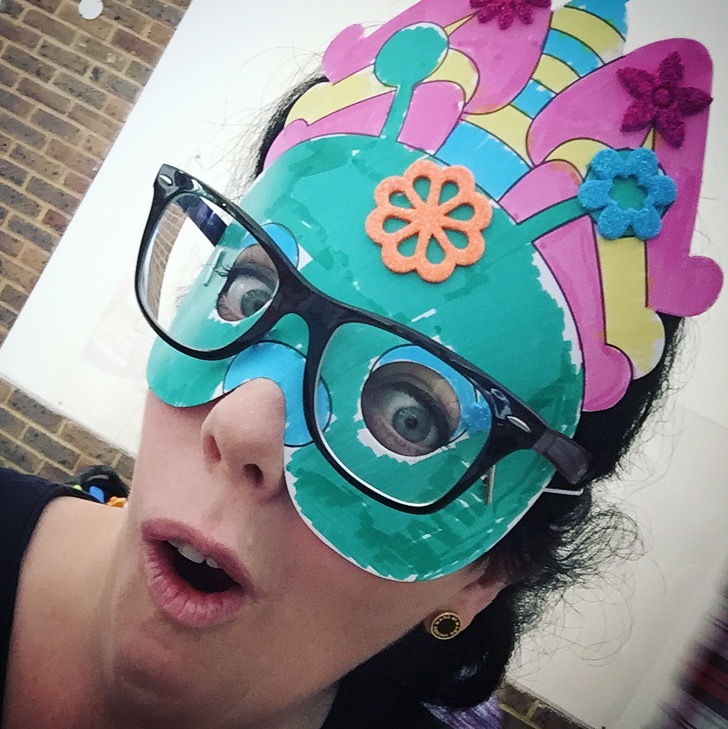 Did you know Messy Monsters Basingstoke have some fabulous school holiday sessions available over August? 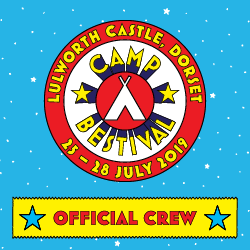 For further information please visit the ‘events‘ section on their Facebook page. Disclaimer: We were invited down to the Ugly Bug Ball by Messy Monsters in order to review the event. All words and pictures are our own. Sounds like such a dab event. We have a messy class near us but its stopped now for the Sumner. That looks fab! I need to do something like this. Love all of the photos! Messy Monsters looks like a fun event, its great that they limited numbers so that the kids could have fun without too many people around. This sounds like a lovely event. My kids would love this. Ooh I’m going to look for something like this near us. This looks great for Amelia!